Tohoku is not really well known by many people. For being one of the main regions of Japan, Tohoku is not visited by many tourists like Kansai (Kyoto and Osaka) or Kanto (Tokyo). Moreover Tsunami disaster that happened in 2011, brought certain damages to some parts of this region. However, Tohoku has its own beauty. The richness of its nature shows Japan from a different perspective. But what are the most scenic places in Tohoku? Coastal natural resource in the country is ranked highest in the Japan Travel Bureau Foundation’s National Tourist Resource Evaluation. 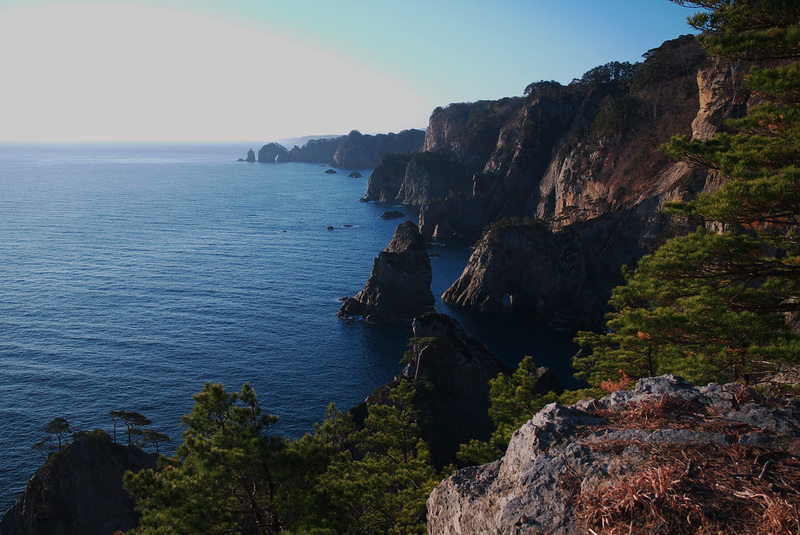 Kitayamazaki cliffs compose a breathtaking view along Rikuchu coast. There are 50-minute boat tours available in the area. 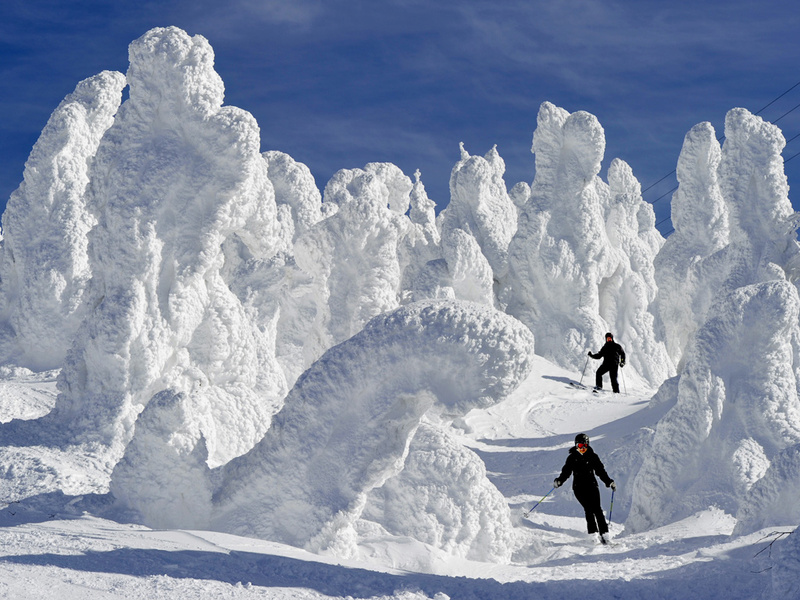 This is the largest Tohoku ski resort and one of Japan’s oldest. The local natural snow monsters are actually the trees that are glazed with ice during winter. However, this view only appears in particular weathers. It is located at 1700 meter height on Mt. Zao. This is a secluded region located deep in the mountains, which shows the beautiful green of the forest in the summer and bright colors in autumn. It lies on the border between Niigata and Nagano. Maybe you already know about Mt. Fuji and lake Yamanaka in Shizuoka. But this duo is not less picturesque than Mt. Fuji and lake Yamanaka. Mt. Bandai is categorized as one of 100 best mountains in Japan. This mountain is located along the southern edge of Bandai Ashi national park. Mt. Bandai was called “Iwahashi-Yama” which means a rock ladder to the sky. You can find many swans swimming freely in Yamanaka lake. 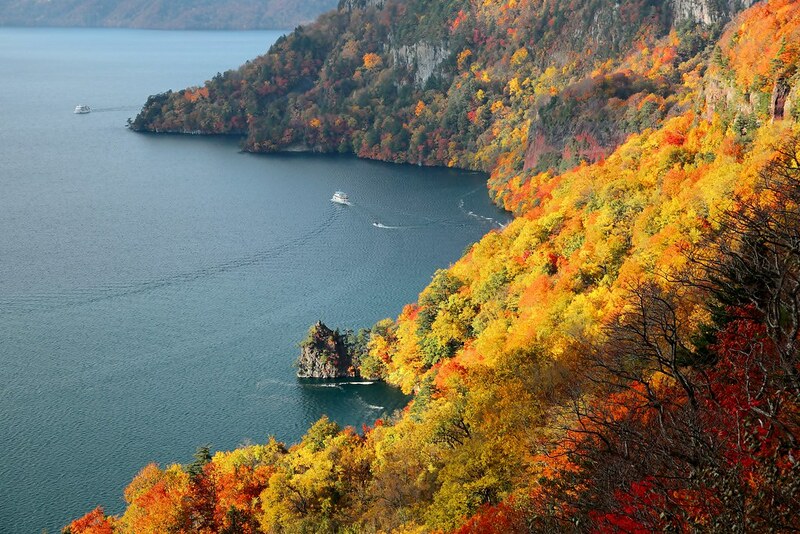 Lake Towada is a part of Towada-Hachimantai National Park. This is the largest lake on Honshu Island, Japan. Towada itself is located at the border of Aomori and Akita Prefecture. Well, isn’t Tohoku just as tempting? Zen Experience: Live like a Monk for a few days!